Most people are not consciously aware of the contribution made by two communication industries to the cause of women at work in India. Both television journalism and public relations employ a large number of women. This has helped to push the agenda forward for including more female professionals. As International Women’s Day rolls by, we talked to women in the PR business – senior marketing professionals at PR agencies, women entrepreneurs in PR, senior in house communicators and young agency professionals about how they feel about their role in PR. Shravani Dang, Vice President and Global Group Head of Corporate Communications at Avantha Group and Advisory Board member of Women in Leadership Forum has spent over 22 years in PR. She feels that: “PR calls for empathy in understanding situations, multitasking and creativity – these are skills that are inherent in women – and using these skills help deliver best results." Has the rise of social media impacted how women in PR have developed? According to Shravani: “Women are better writers and are more sociable, as well as being great at multi-tasking – this means that women have an edge over men. They think and deliver faster across platforms and have taken very well to the era of social media." 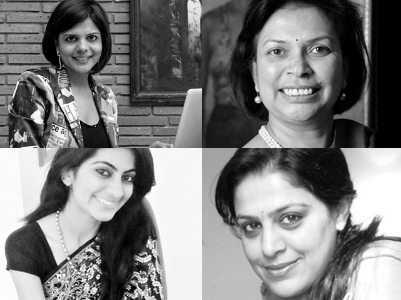 What skills are needed for women in PR?